Kindred SS wire bottom grid - 15" X 26" X 1"
SS wire bottom grid - 15" X 26" X 1" Stainless steel bottom grid to protect sink bowl from scratches. Includes rubber feet, side bumpers, and hole for access to sink waste hole. Dishwasher safe and heat resistant. 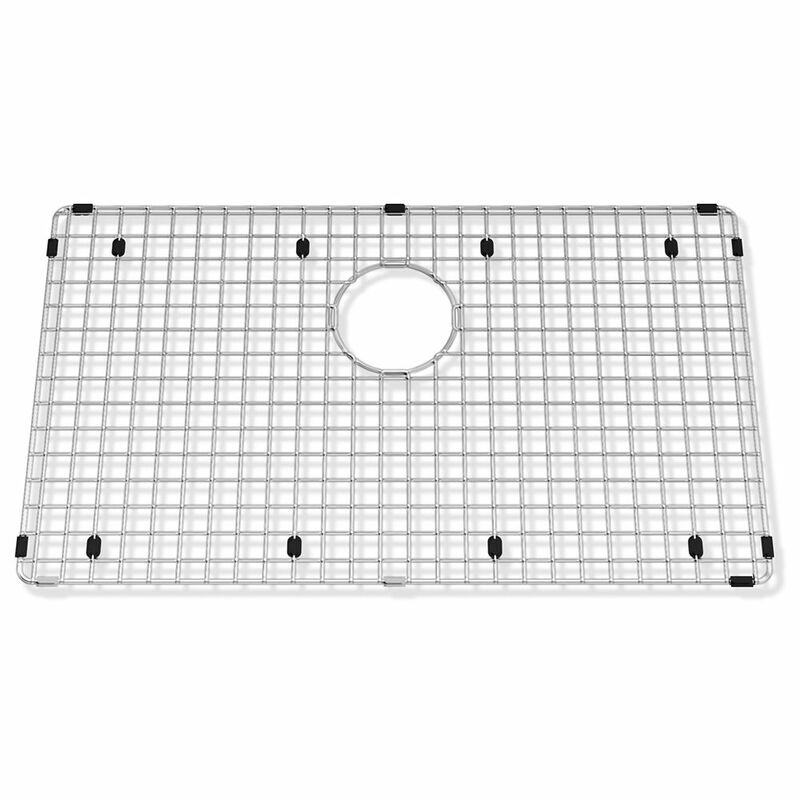 SS wire bottom grid - 15" X 26" X 1" is rated 1.0 out of 5 by 1. Rated 1 out of 5 by jeffrey from dimensions are wrong..... I'm sure the product is great, but it does not fit my sink. End to end it is almost 26.5 inches. Does not fit my sink (after waiting 2 weeks for it). Now back to the drawing board while new stainless steel is getting scratched.